With the average cost of a wedding pegged at $28,000, according to The Wedding Report, it is clearly a buyers’ market for betrothed couples. 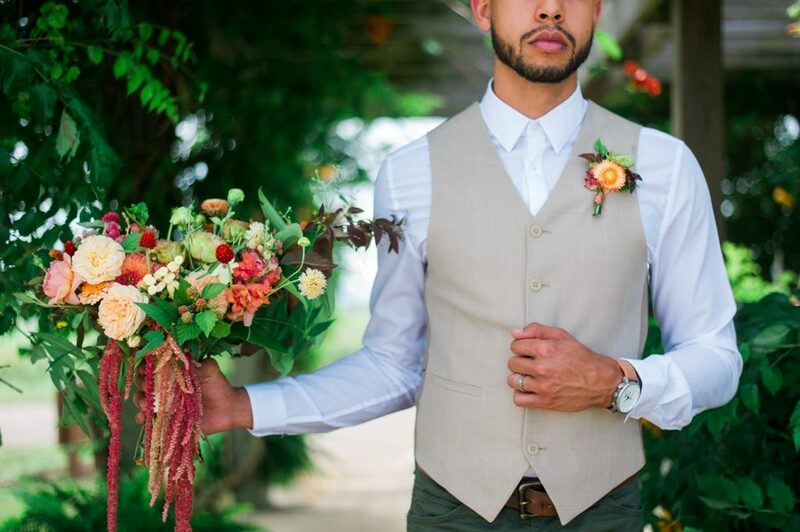 Slow Flowers members reveal that mindful couples who care about spending their dollars in a meaningful way are choosing local and seasonal bouquets, boutonnieres and floral decor. 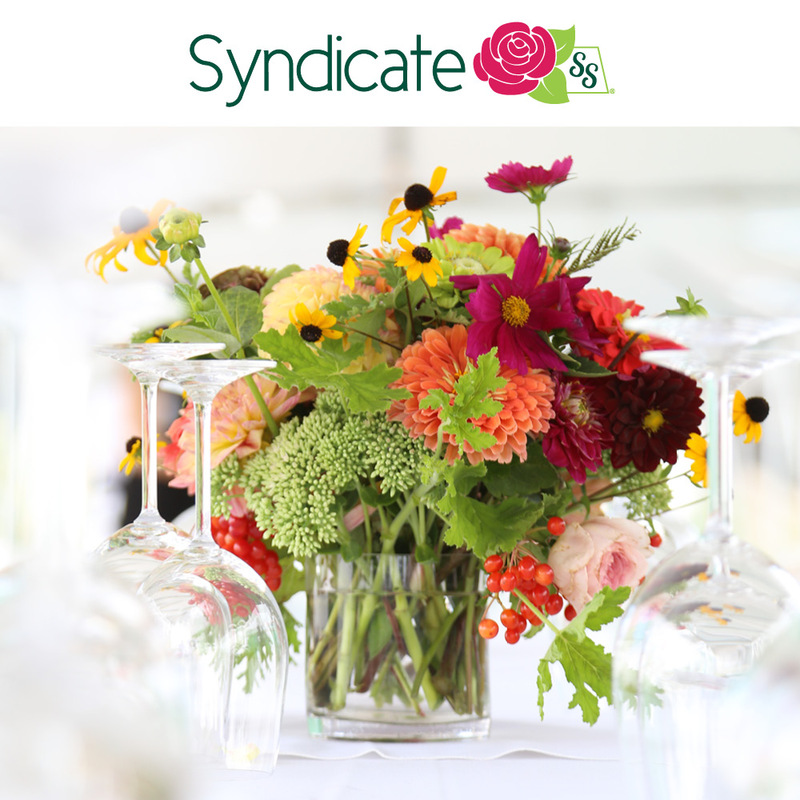 “Our couples really enjoy hearing about the process we go through to bring local flowers to them. 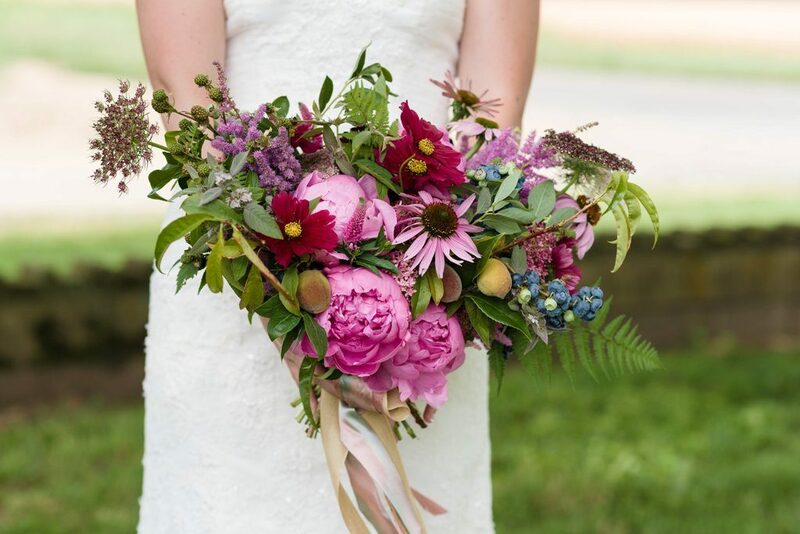 Knowing the farms and learning about our local sources can help to further create the personality of their wedding,” says Slow Flowers member Andrea K. Grist of Andrea K. Grist Floral Art, based in Lees Summit, Missouri. 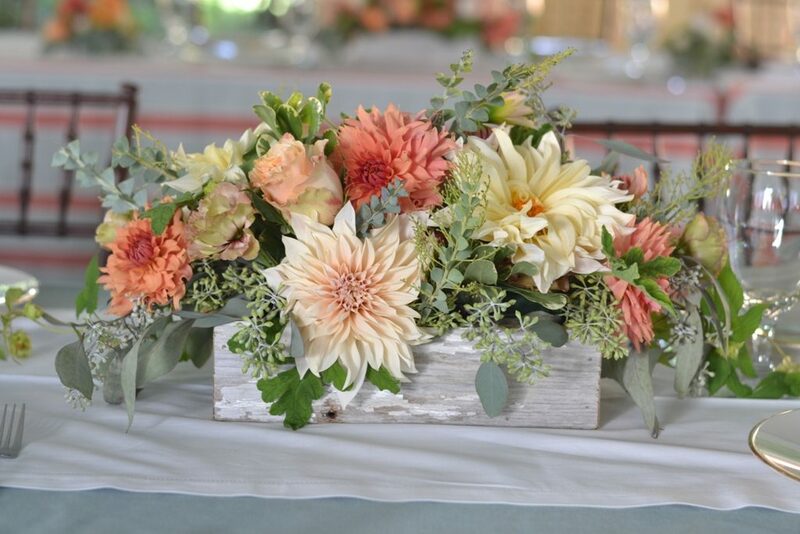 Mary Coombs, partner in A Garden Party, LLC, in Elmer, New Jersey, echoes these sentiments: “The popularity of the farm-to-table menu along with the demand for rustic wedding venues has opened up the conversation about locally -sourced flowers. 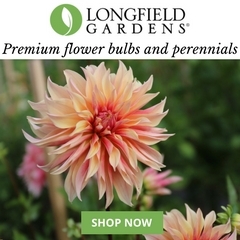 Our couples are wanting to know where the flowers are grown and we are proud to boast blooms from our many local flower farms and our own garden too. 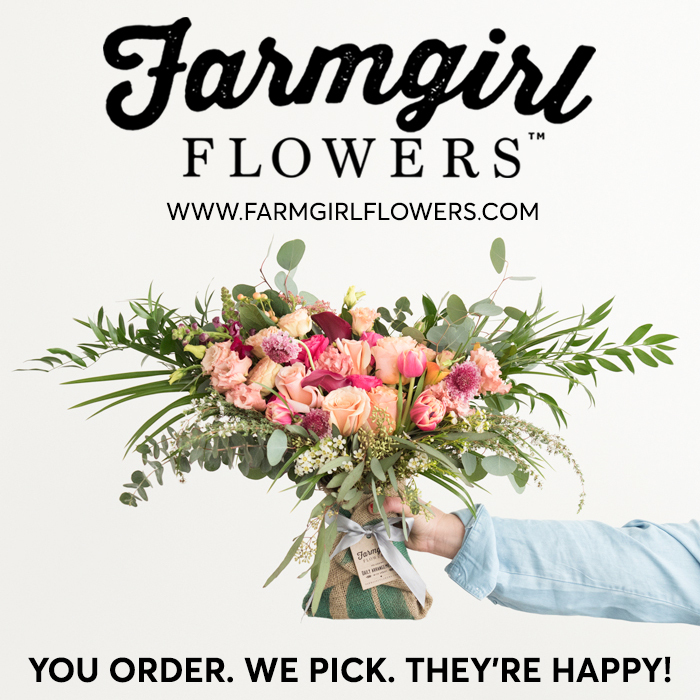 Supplying locally-grown flowers to our clients is not only the more eco-conscious option, it allows us to highlight the beauty of home grown blooms and the families that grow them, ” Coombs says. 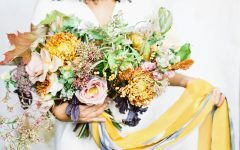 As conscious couples invest their wedding budgets closer to home, they are turning to local flower farmers and sustainably-minded florists to help them achieve their vision. 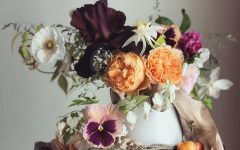 Creatives who rely on the muse in all four seasons and participate in the Slow Flowers Movement pluck stems straight from the garden, meadows and fields near them. 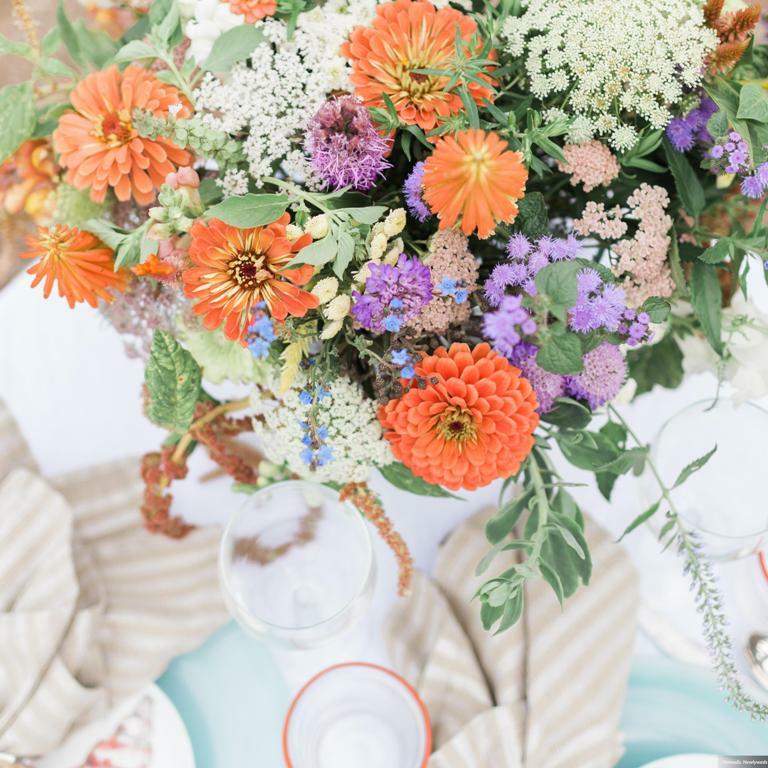 “They believe the most authentic expression celebrates the place and the moment in time, as well as sentimental fragrances, palettes or botanicals that bring meaning to the ceremony,” says Debra Prinzing, founder and creative director of Slowflowers.com, which promotes American grown flowers. 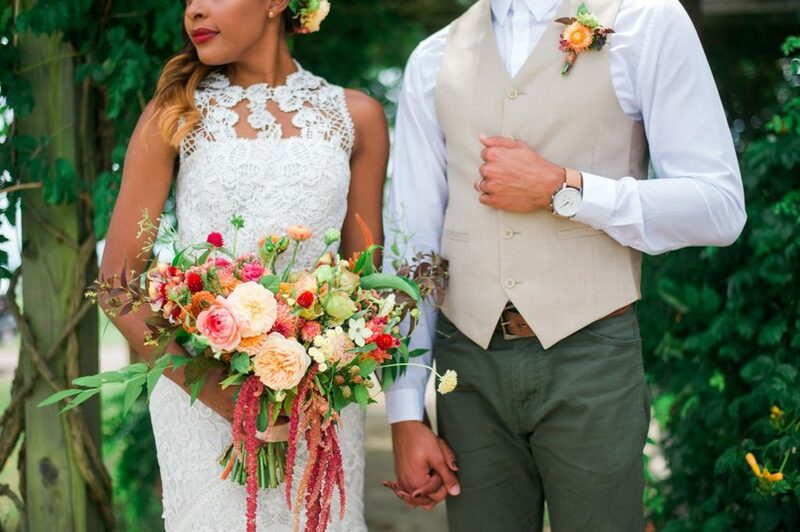 “Inspired couples want to set their wedding apart by telling their story through the florals they carry down the aisle or pin to the lapel. They’re aware that there is meaning in every bloom and that flowers communicate where words may not. By keeping floral choices close to home, there’s a ‘green’ aspect that conveys their sustainable values, as well,” Prinzing says. Go Bohemian with layers and textures in all shades of green. 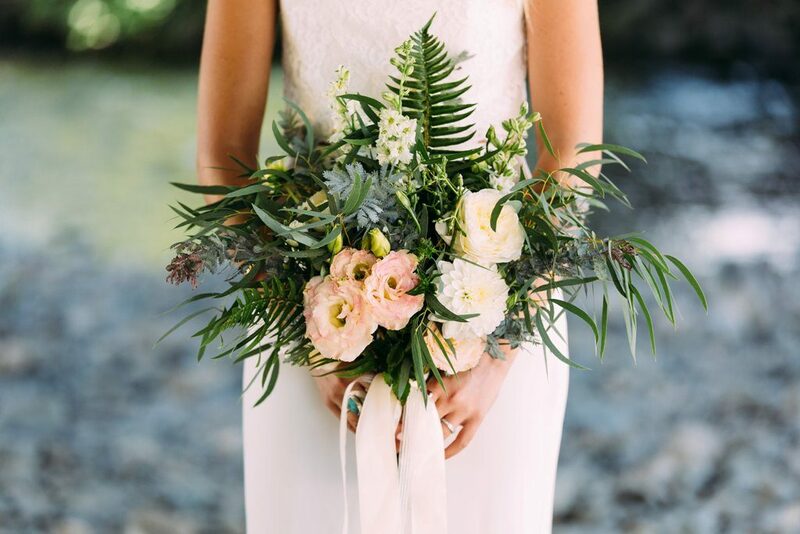 Fine or softly-draping leaves give a bridal bouquet its carefree attitude, ideal for a ceremony with a casual, personal style. 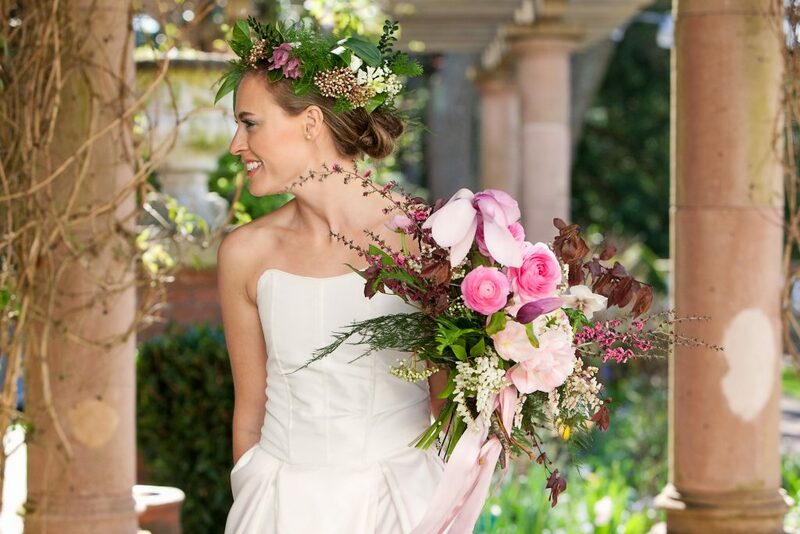 “I used a lush combination of native sword fern, and California-grown acacia and willow-leaf eucalyptus to establish the foliage-strong foundation for the cream and pink lisanthus and buttercream larkspur,” says Kim Richards of Lollie Fleur, a Seattle-based design studio. Inspired by a must-have diva flower, such as the blushing Café Au Lait dahlia, designer Kim Richards added a quieter lineup of silvery and white botanicals to support and showcase that signature bloom — the season’s epitome of beauty. 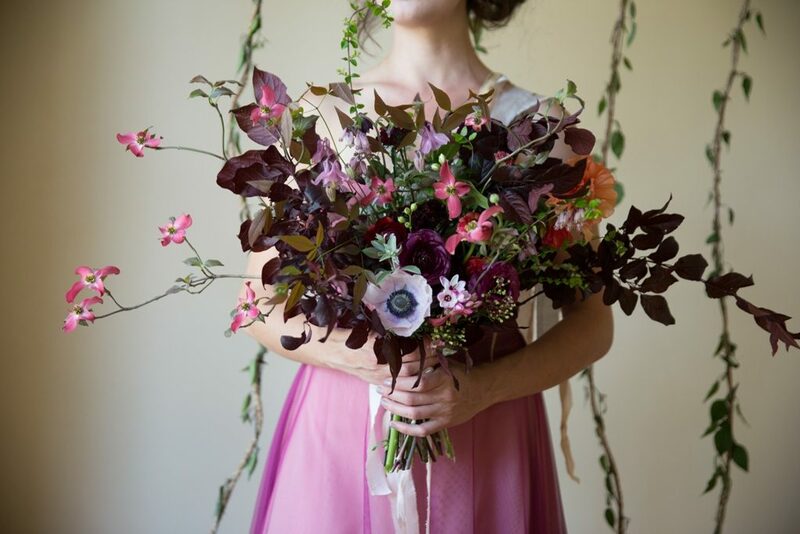 Flowering branches are just as luxurious as flowers, especially when added to a hand-tied statement bouquet. 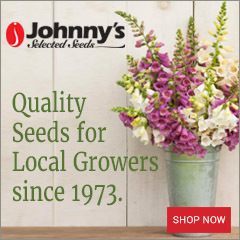 “Twigs and stems bearing dogwood, cherry, magnolia, peach, quince or apple blossoms lend a lighthearted quality to a gathering of spring flowers, as they appear to dance on their stems. 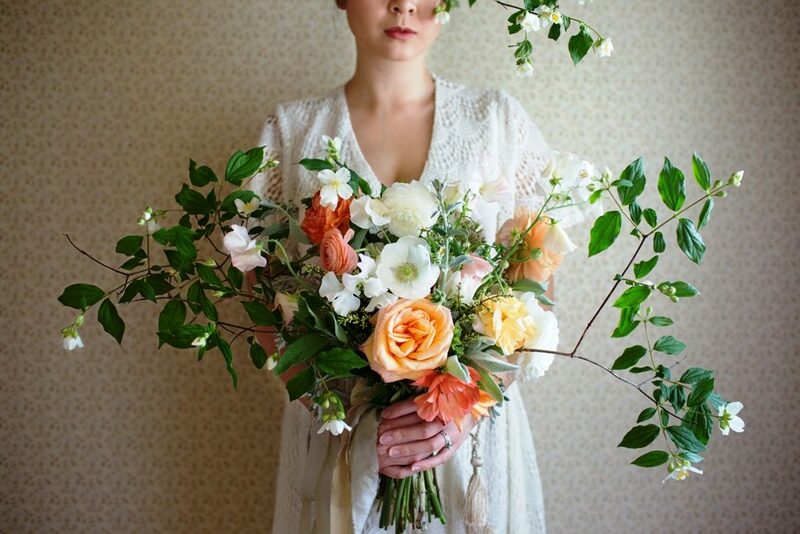 Branches like mock orange create an open latticework that’s less compact (and thereby less formal) than an orb of similarly-sized flowers,” says Betany Coffland of Chloris Floral, based in Petaluma, California. Nothing says local like fresh-from-the-farm herbs, vegetables and fruits integrated in a garden-inspired wedding bouquet. This aesthetic is just right for a foodie couple and their farm-to-table reception festivities. 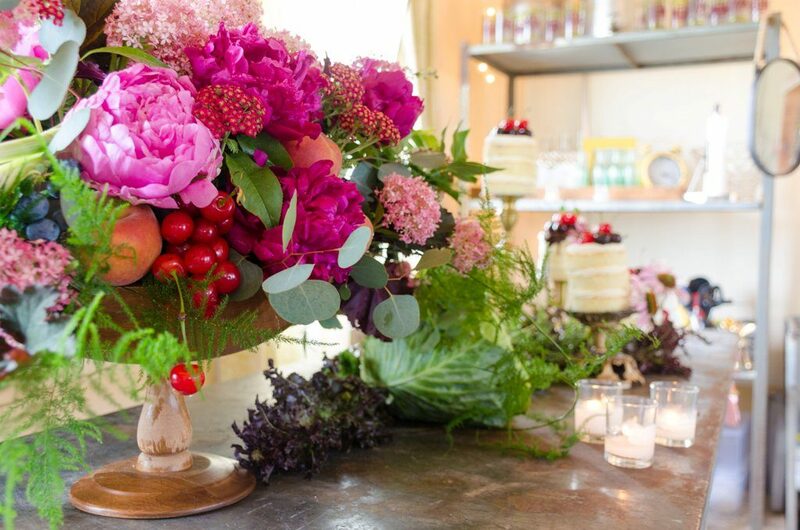 “From blueberries and cherries to plump, fresh apricots, adding edibles lends an organic and sensory quality to our arrangements and bouquets,” says Mary Coombs, partner in A Garden Party, based in Elmer, New Jersey. 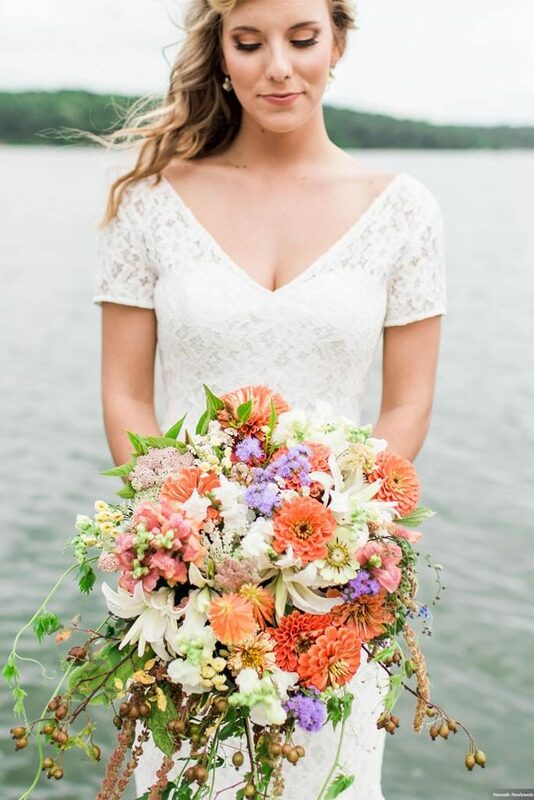 Floral and event designers Buckeye Blooms and Passiflora Studio used 100-percent Ohio-grown blooms from theirs and other local farms to design florals for a highly personal elopement. The couple is photographed at The Wilds, the largest wildlife conservation area in North America and one of the country’s greatest reclamation success stories, located in the rolling hills of rural Southeast Ohio. 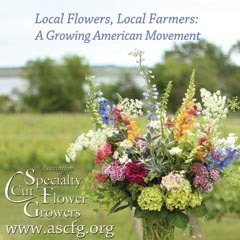 All flowers were grown by Missouri cut flower farm, Rosco’s Flowers. Design: Andrea K. Grist Floral Art. 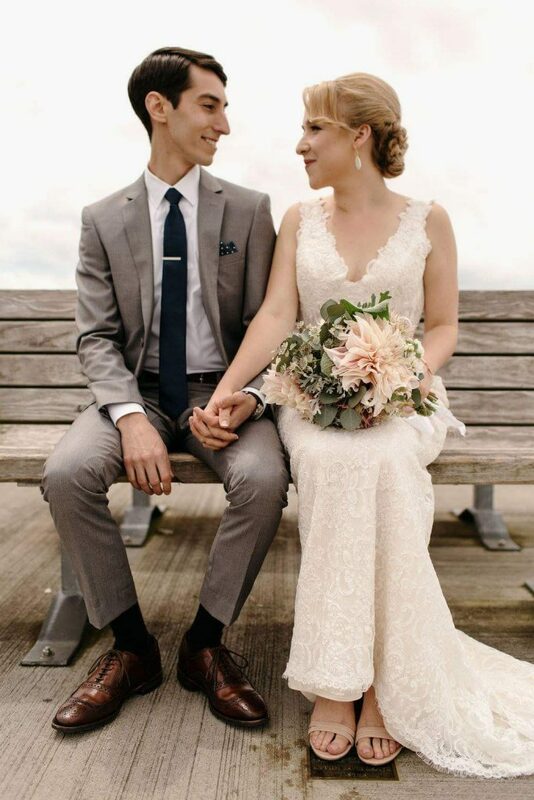 Credit: Nomadic Newlyweds Photography. 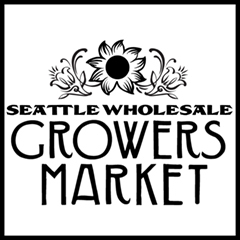 In the hands of an inspired colorist, vivid annuals and perennials that you might find at the Farmers’ Market can comprise a beautiful bouquet, hand-tied with natural jute. When you can’t restrain yourself from using everything the garden has to offer, choose a color palette to keep things visually coherent. 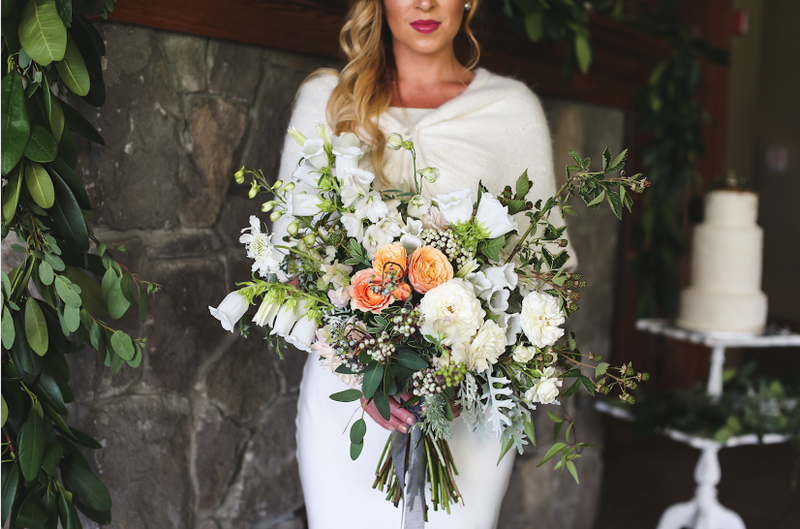 Weave stems into the bouquet at different depths and levels to create a natural “effortless” effect, says designer Tobey Nelson of Tobey Nelson Events and Design, Langley, Washington, whose gardenesque design includes ranunculus, tulips, peonies, pieris, magnolia, anemones and roses with plum and viburnum foliage, much of it foraged from her own farm and private landscapes she maintains. Amp up the drama with the palest and deepest of hues in one bouquet. 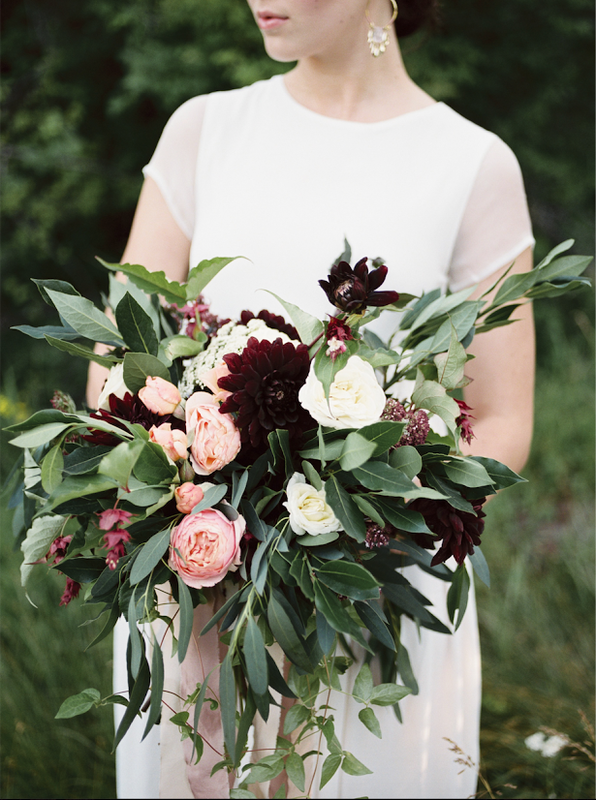 Dark burgundy dahlias are stunning here, best showcased when contrasted with peach and cream petals of companion blooms, says Isabella Thorndike Church of Jacklily Seasonal Floral Design in Ashland, Oregon, who partnered with her family’s flower farm, Le Mera Gardens. “This bouquet also features Italian flowering oregano, ‘Black Knight’ Queen Anne’s lace, red shuttle flower and clematis vine,” she says. 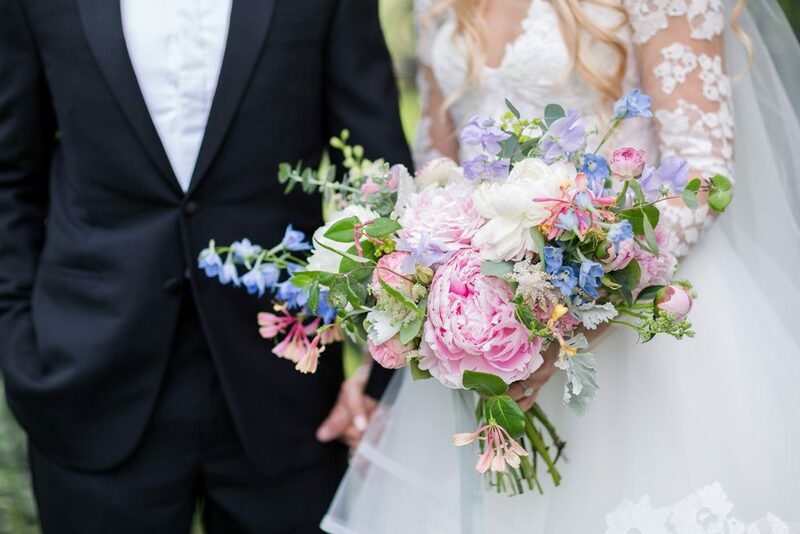 Cottage garden flowers in a soft palette of pinks and baby blue have their moment in feminine bouquet featuring local peonies, sweet peas, delphinium, astilbe, ranunculus and honeysuckle vines. 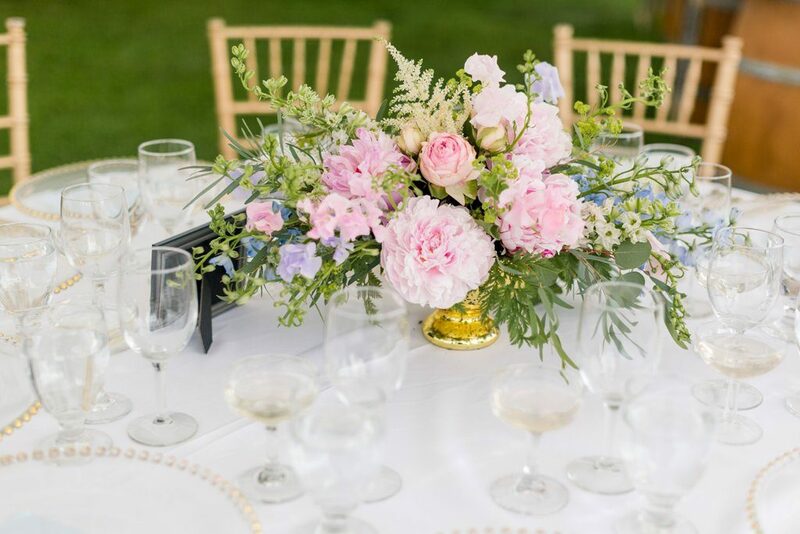 “This same floral palette gets a shimmer of elegance when contained in a gilded compote for reception centerpieces,” says Dawn Clark, partner in A Garden Party, based in Elmer, New Jersey. 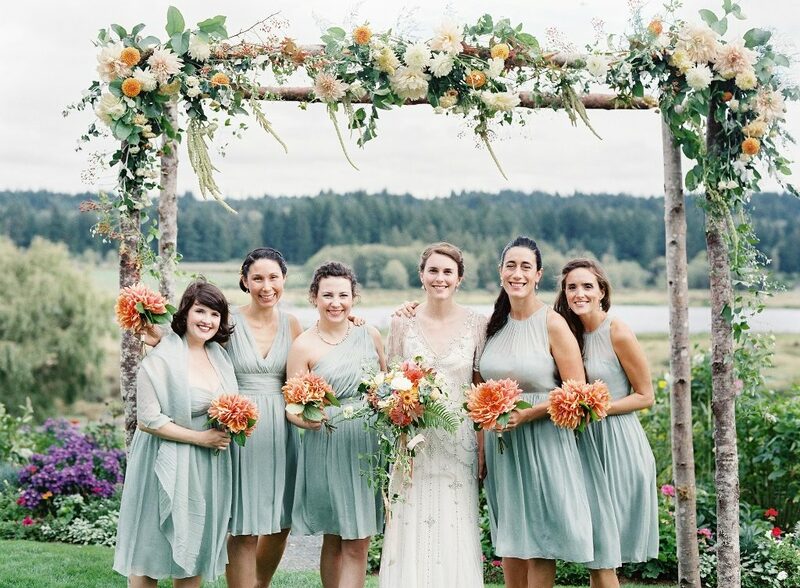 An alder-pole arbor handcrafted from trees foraged from the farm of Whidbey Island florist Tobey Nelson is lavishly decorated with sherbet-toned flowers sourced from local farmers. “I selected the trailing amaranth and delicate clematis to echo the art-deco lines and beadwork in the brides dress.” Nelson engineered the floral arbor without using floral foam. Instead, she created “jelly rolls” of moss and chicken wire, which were soaked overnight and zip-tied to the structure on the day of the wedding. Flower and foliage stems are inserted into the moss base and water-hungry flowers like dahlias were inserted with floral tubes. 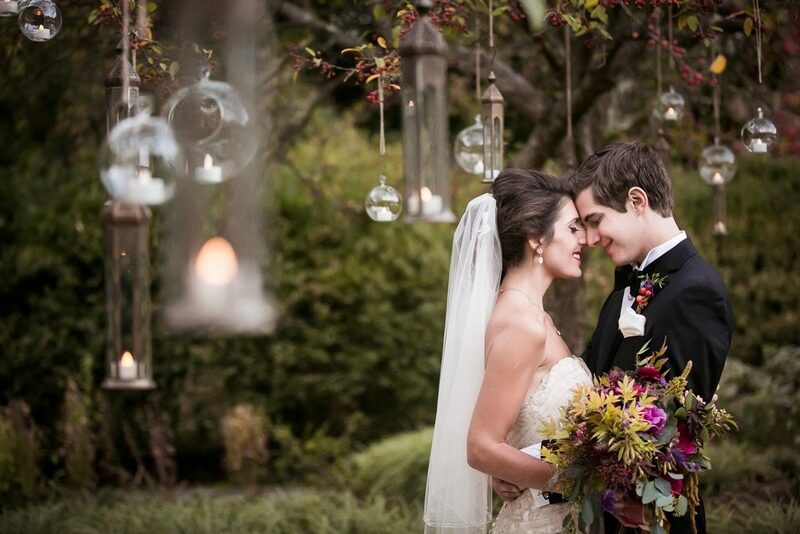 Every wedding needs candles somewhere, right? 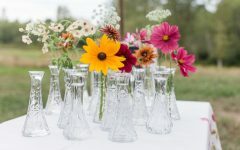 The inventiveness of design duo Dawn Clark and Mary Coombs of A Garden Party, Elmer, New Jersey, turns simple glass vessels into a canopy of suspended votives that set the romantic mood for vows. These are all so amazingly beautiful!